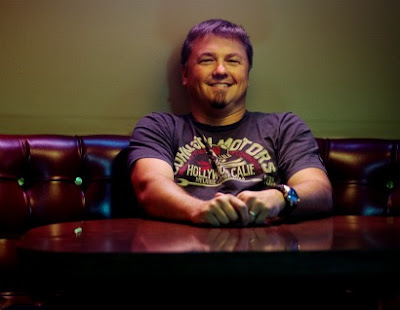 Believe it or not Edwin McCain has maintained a steady, fruitful career for two decades now. The Greenville, South Carolina native, perhaps most known for such pop/rock radio staples as “I’ll Be” and “I Could Not Ask For More,” has consistently turned out eclectic, soulful albums while playing countless live gigs to his appreciative, loyal audience. 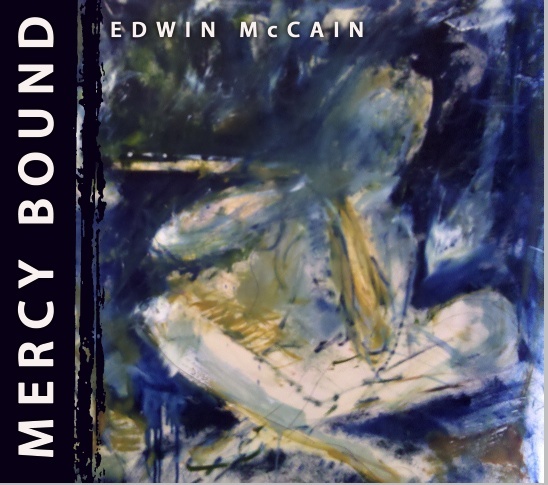 McCain’s latest is Mercy Bound (429 Records), which marks the production debut of his longtime collaborator, singer/songwriter Maia Sharp. The original idea was for Sharp to co-produce the album with noted music man Don Was, but getting everyone together proved futile. You've written plenty on your own, but as far as collaborating with Maia, does she change the way you approach songwriting? She definitely changes the way I approach songwriting. I mean, I have the same ideas, but I think they’re more fully developed by the time we’re done with them, and vice versa, because the mantra is–and this is something her father taught her; her father is Randy Sharp, who’s a great songwriter as well–if you don’t develop an idea to its greatest conclusion than it’s disrespectful to another writer who would’ve; and it’s wasteful. I never really considered it in that way, but then when we started working together we would write it and then try to beat it. We’ve written it now; let’s try to write it better. Let’s do this as much as we can to refine the idea. And sometimes you find that your first thoughts are usually the right ones, but you can’t be sure unless you try. Is there any inhibition on either one of your parts as far as what you'll write together? There’s really nothing that she doesn’t know about me. It’s a total open-book situation. All the deepest, darkest… That’s where it lives, really. Are you any different of a songwriter than you were 10 or 15 years ago? I listen back to some of the [early] stuff and some of the ideas are these broad strokes of idealism. And I think that’s what you should have in your twenties. There should be some passionate idealism and some sort of poetic ignorance. Now what I do is find the beauty in the tiniest; it’s a lot more micromanaged. I find the description of a moment can be more powerful than these sort-of cry-freedom things I was talking about in the beginning, but I hadn’t really lived a whole lot. The sum total of my existence was riding around in a van, playing bars and chasing girls. That’s produced a lot of great rock and roll, though. It was a lot of fun. And that has produced a lot of great stuff. The challenge for me now is it’s really much more about the audience. And I think the audience that listens to what we do is like me. We’ve kind of been through that phase and now the things we pay attention to are much more empathetic. Did having children change or inspire you in some way as a songwriter? They inspire all of it. It’s their perspective more than anything that inspires the way I look at things. I find myself being positive and encouraging. A lot of that, when you’re alone before you’re married and even after you’re married a lot of time, it’s still all about you. You’re thinking, This traffic’s driving me crazy. It’s all about how it’s affecting me. And it’s funny, because when your kids start to think in that way it’s a clear reflection and you see how it looks. So I’ve made a real positive and committed effort to teach them how to be patient and understanding and not let the ego stuff run away with it; so they can have a better time. Then you have to work twice as hard to live up to that example. Absolutely. And it really does force you to put your money where your mouth is. But it’s a really good challenge because you know that if you’re sitting in the car yelling and screaming about traffic, kids pick up on all that kind of stuff. They pick up on that energy and they pick up on how you react and respond to just about everything. They’re going to do exactly what you’re going to do. So if you can react and respond in a reasonable way and have good boundaries… It’s all the things that I was never really good at before they came along. It’s amazing how hard we make things on ourselves. We make life a lot harder on ourselves than it needs to be. Just the parenting issue, it’s a challenge. It’s a challenge for time and organization and all of those things, but it really does put things into perspective. It makes me have a better outlook. It makes me happier about doing what I’m doing. When I’m going to work I know why I’m going to work.